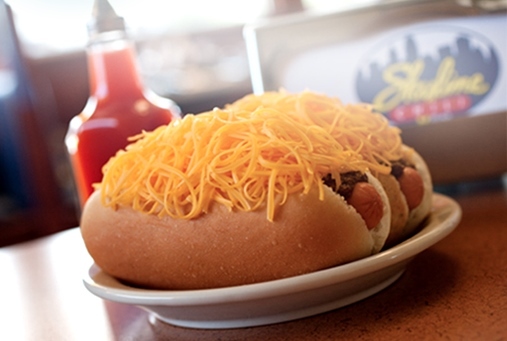 Two delicious cheese coneys. If I had a penny for every one I made in the years I managed the Skyline Chili in the Clifton suburb of Cincinnati, Sir Richard Branson would be my limo driver. Copyright 2019 Skyline Chili, Inc.
Let's kick back and relax! Was I able to save you time or money with something I shared in my AsktheBuilder.com newsletter? Perhaps a tip you gleaned is going to save you $50, $100, or even far more. That's fantastic and I hope I can do it many times during the year for you. Would you like to do something in return for me? Here's a fun and easy way to reciprocate. FAQs are just below. One-Day Road Trip to Ham Radio Outlet GULP! Well, what do you think? You don't have to do anything if you don't want to. We can just go Dutch this time if that makes you feel more comfortable. But if you want to treat me, use the handy button below that will take you to the SAFE PayPal. Once there you'll see you'll be making a donation to my corporation: Tim Carter Builder, Inc. It's completely SAFE. Tim, can I Contribute Any Amount to Return the Favor of Helping Me? Yes, you can use the button below and contribute anything you want. I use these funds to help recharge my brain and body to continue to help you. What Happens if Lots of Money Comes in Each Month? When it does, the excess is contributed to a few great NH charities.